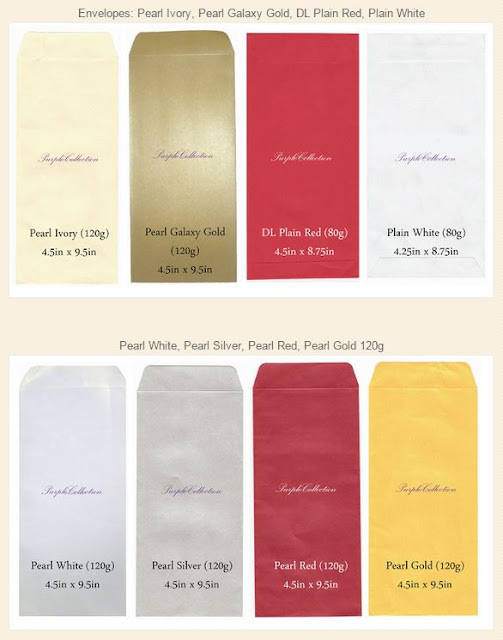 Each invitation card comes with an outer plain envelope 80g. Below are colours to choose. New custom designs or change of colours based on your theme are welcome. 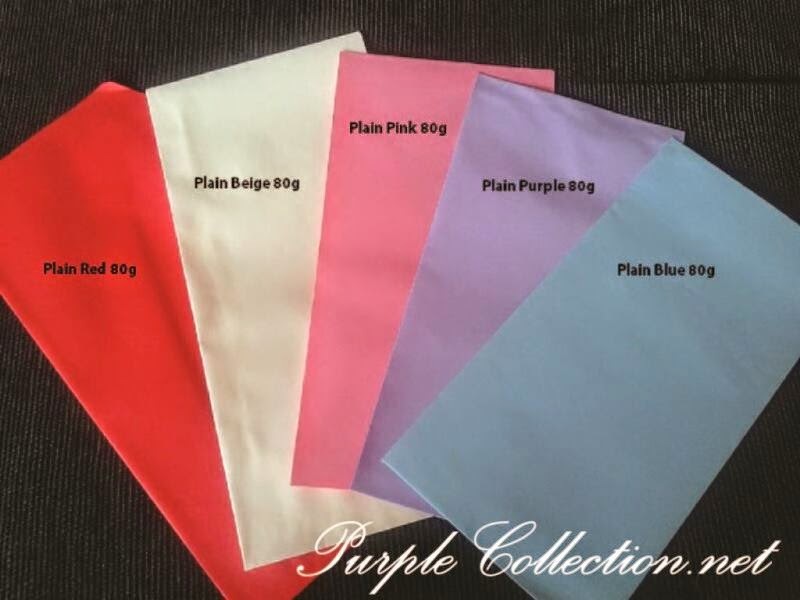 Add on Pocket, Satin Ribbon, Rhinestones, Buckles, Pearls, are available on request.